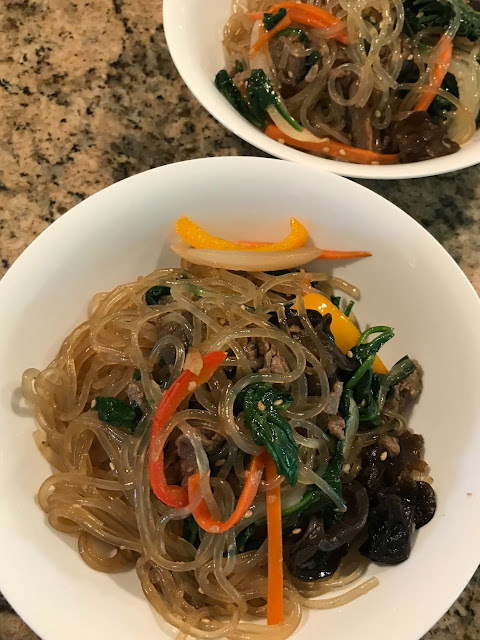 Mixed rice is popular among Korean families; it's a healthier alternative to having white rice since brown and black rice is incorporated, as well as various beans and barley. To make mixed rice, you'll need a high-pressure cooker like the Cuckoo (which is what I use), Zojirushi or Instant Pot. 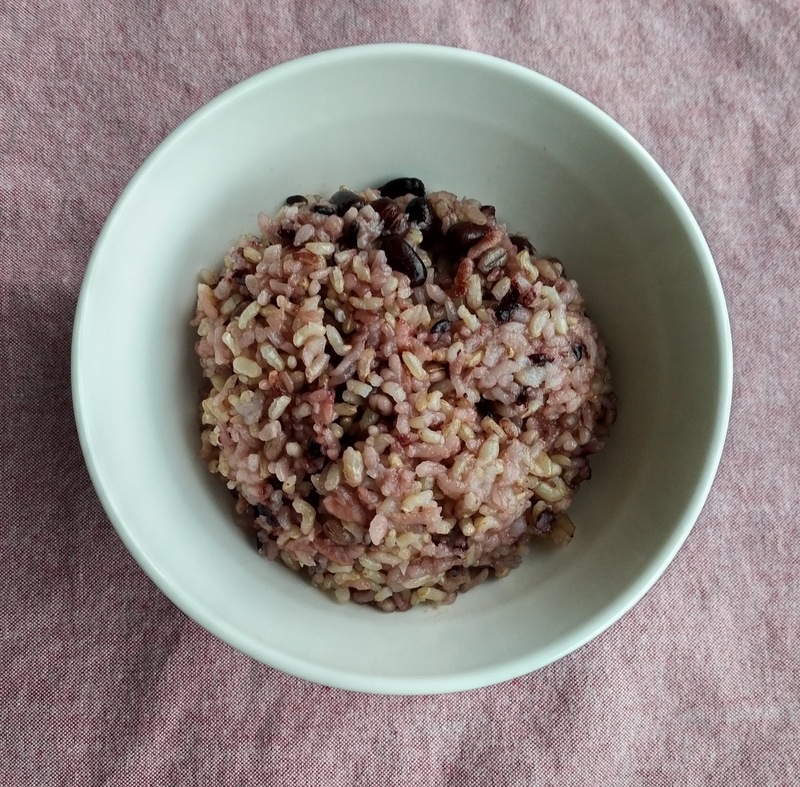 Because the brown and black rice, and various beans require more cooking time, making it in your ordinary rice cooker will leave these grains too hard to eat, even after soaking them. Rice "cups" are 180 ml and the standard 1 cup is 250 ml. To make rice in a rice cooker or Asian pressure cooker with water labels on the inside of the pot, you should always use the rice cup for accuracy. This plastic rice cup comes with the rice cooker. The following may sound overly complex and tricky but trust me, IT IS NOT. I need to outline it this way because we are measuring with a plastic rice cup aka 180 ml "cup". First, fill the plastic rice cup with brown rice grains and place it in a large bowl. 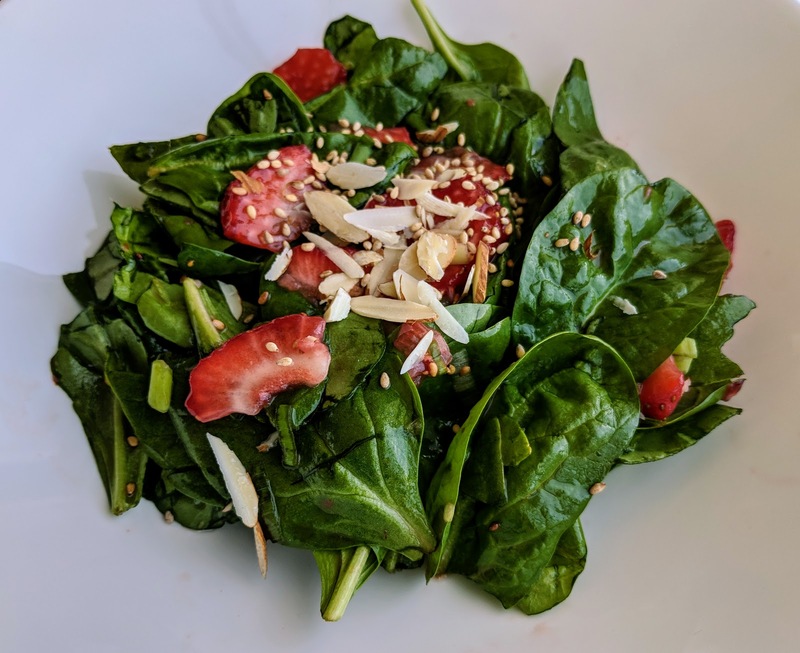 Next, fill 1/2 the cup with barley, 1/4 of the cup with white rice (jasmine rice or sushi rice) and the next 1/4 of the cup with sweet/ glutinous rice grains - throw it all in the large bowl with the brown rice. 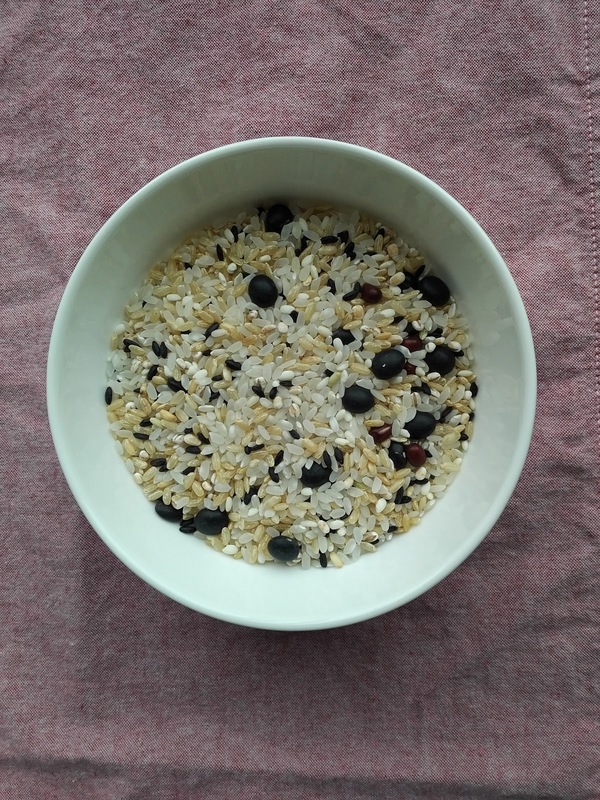 You can switch up the amount of beans/grains to your liking (like more black rice, less white rice etc.) but essentially, make sure it totals 3 plastic cups. Wash the grains in the large bowl 4 to 5 times with cold water. Soak overnight or for at least 12 hrs. Note: wash it before soaking, if you soak and then wash the grains, it breaks them apart and the result is not good. Place the grains in your pressure cooker and fill water to the marking 3 for mixed or sushi rice (not the regular white rice 3-cup mark). The high-pressure cooking process is 50 min with the Cuckoo rice cooker. Our go-to rice is the Japanese brand Nishiki for sushi rice and brown rice.